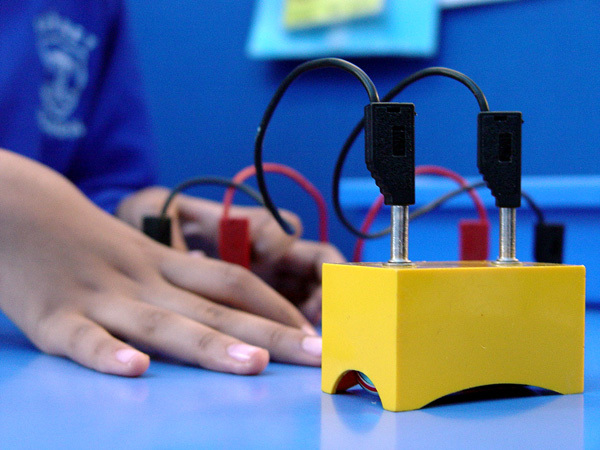 The Blue Class pupils at Turney School have been experimenting with electrical circuit building. We introduced a number of resources such as a power source, a bulb, a switch and a set of wires. We allowed each class member to experiment with the equipment to see if they could build a circuit. The pupils have been learning how electricity needs to flow in a complete circuit. We made sure that all of our devices were connected with the wires. Worksheets have been completed that show an understanding of the various electrical symbols. Blue Class have been learning how it is important to label an electrical circuit whenever we present this information in our books. You can watch a video of a young Blue Class circuit builder above.